Like many other displaced Bostonians, the past 4 years Marathon Monday/Patriot’s Day has been a day I missed my hometown the most. Memories starting from when I was a little kid, driving to Wellesley or Newton to catch a glimpse of the city-wide event, cheer runners on as they trek toward their 26.2 mile goal, waiting in the heart of the city, to my college years, gathering on Beacon Street, cheering on the runners, some of whom may be friends or fellow college students, but in a much more mature, outdoor party-like atmosphere. 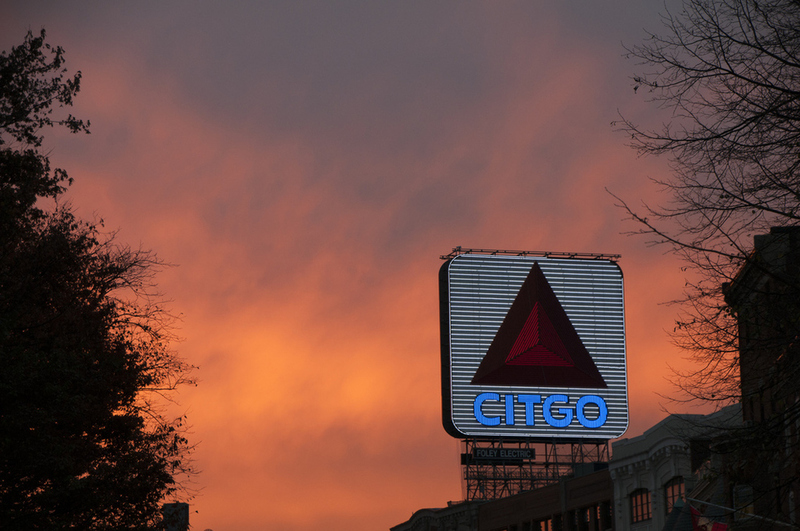 I remember going to the 11 AM Red Sox game, peeking toward Kenmore Square as the game drew to a close, seeing the runners on their last few miles toward the end. Then going into Kenmore to cheer them on and give high fives to the tens of thousands of brave, strong-willed and no doubt tired people with numbers on their bibs. That’s what Patriot’s Day in Boston is supposed to be about. That’s what it always has been about. And in the wake of yesterday’s horrible tragedies at that same finish line that for over 4 hours after the start of the race this year, and every previous year of the Boston Marathon, meant the final goal of those runners from all across the globe, I have been having a lot of trouble collecting my thoughts. Since moving to Los Angeles, Marathon Monday is a day every year as it approaches, I wish my schedule allowed for a quick extended weekend trip home, just to enjoy in the culture and festivities of the day with my fellow Bostonians, as if I never left. This year, despite the tragedy, I feel no different. I wish I could be there in Boston this week to support those affected by this tragedy by donating blood at the hospital, going to candlelight vigils and walking from BC to the Finish Line. I wish I could go to tomorrow night’s Bruins game and show the country and the world our unified Resilience, as President Obama so rightly characterized our city. I find myself struggling to focus at work, feeling so disconnected to the city I still consider my home. Hours staring at news coverage yesterday, and hours reading stories of the aftermath, hearing our sports radio hosts drop all coverage of sports and discuss how close this city is. Hearing personal accounts, including that of The Sports Hub/Toucher and Rich’s Rich Shertenlieb, who’s voice trembled on the radio as he explained how he doesn’t know what to do with the anger he feels after having to rush his family, including two young boys and a wife undergoing chemotherapy, out of his apartment building right where the second bomb exploded. In a city where all you hear about is Sports, especially living in a city that holds one of it’s teams biggest basketball rivals, it’s hard to explain to people who aren’t from Boston, WHY Boston is such an incredible place. You hear people chide and berate the city and it’s sports fans for being ourselves – loud, obnoxious and passionate. And that’s all people know about Bostonians. But a tragic event like yesterday’s explosions really shows how tight-knit a community Boston is. Strange for such a large metropolitan area to seem so small and close, but living in the Boston area throughout all my pre-college life, and living in the city for 3+ years during college, I really felt the sense of community. I saw it most prominently after the Red Sox won the World Series in 2004 – a community of people coming together for a joyous occasion, a shared elation sparked from 86 years of disappointment and agony. You could see it in every subsequent Championship Parade during our decade of winning. A city where you may not always smile or high five the stranger you walk by, suddenly is all smiles and high-fives when a unifying event brings us together. Yesterday’s attacks wasn’t about sports, but it was centered around one of the Nation’s and certainly the city’s biggest sporting events. Sports brings people together – to cheer for a common team, or to cheer on runners going after a common goal like crossing the finish line after 26.2 grueling miles on city streets. And in a city where sports bears such a strong importance, it is no surprise to me how strong and resilient our citizens can be in the face of adversity. Patriot’s Day is supposed to celebrate everything that Boston is about, and by extension, America is about (for those uninitiated, Patriot’s Day is celebrating those who fought in the first battle of the Revolutionary War, in Lexington and Concord.) We wouldn’t call ourselves Americans if that first battle never happened. And that’s what’s so hard to grasp about this attack – they didn’t just attack the Boston Marathon, they didn’t just attack The City of Boston. They attacked the IDEA of celebration Freedom and Patriotism. It makes me sad to realize that going forward, of course we will continue to host the Marathon every year, on Patriot’s Day. But now, there will be this tragedy looming over everyone’s associations of this day, a day that is supposed to be the best day the city has to offer. Sure, future Marathon’s will still have a sense of celebration and accomplishment, but the institution of Patriot’s Day will now forever be scarred. And I hate that such a happy and joyous event has to be associated with such sadness. *I would like to send out my condolences and thoughts to the 3 families who lost their loved ones in this tragedy; The Cambell Family, The Richard Family, and the Lu family in China.